Headaches are a common problem that affects people of all ages worldwide. There can be many reasons why people can develop headaches and these poor neck position while working or sleeping, stress, overwork, medical conditions such as degenerative disease of the spine, trauma, sinus problems, strokes, infections etc. Headaches which keep recurring are called recurrent headaches and those that tend to persist for a long period of time are called chronic headaches. Regulating your sleep cycle: Having a regular sleep cycle goes a long way in helping to reduce these headaches. Good sleep environment plays an important role and includes a darkened bedroom, a quiet place where you are comfortable and it helps to unwind. Some find a relaxing hot bath helpful in unwinding prior to heading off to bed. It is advised to avoid watching TV, using laptops or mobiles before you go to bed. Hydration: Keep yourself well hydrated, because dehydration is a known trigger of headaches, and can worsen preexisting headaches. Regular meals: Have you meals on time. This another important factor that plays a role in the development of headaches. 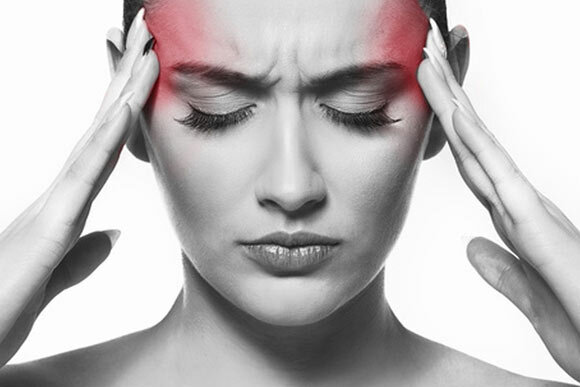 Low blood sugar/ hypoglycemia can trigger headaches. If you are in the habit of skipping meals or eating late and heavy meals, then you should consider changing this. Avoiding triggers: Other trigger/ precipitating factors may vary from individual to individual. From particular foods to the brightness of TV screens to loud noises, certain smells etc there are numerous factors. You are the best person to identify these and avoid them as much as possible. Tea and coffee: Minimize your intake of coffee and tea, because they are known to precipitate headaches. Avoid taking them late in the evenings and just before going to bed. Stress management and relaxation: Learn how to manage your stress in a productive manner and practice relaxation techniques. Antidepressants: These medications, besides the pain relieving effects can also have other beneficial effects like reducing anxiety and sleep disturbances. The drug selected will depend on your individual situation. Anti-seizure medicines: Several anti-seizure medicines help in the prevention different types of recurrent/ chronic headaches including migraine. NSAIDs: Nonsteroidal anti-inflammatory drugs are commonly used over the counter medications for mild to moderate pain, and they are effective in various different types of headaches. On frequent usage they can have harmful side effects such as gastritis and peptic ulcer disease; therefore they must be used with caution and under medical supervision. Massage therapy – this can help to reduce the stress and tension. It helps to relax the tightened muscles and thereby provides relief. Herbs and nutrients – Several organic herbs help in preventing migraine headaches and reduce the intensity of headaches. In deficiency states vitamin and mineral supplements can be taken to reduce headaches and prevent them from reoccurring. It is best to seek medical advice before you starting with any of the above methods.